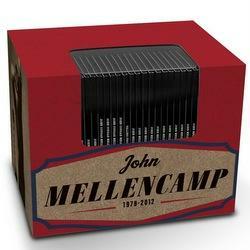 John Mellencamp 1978 – 2012, a uniquely comprehensive boxed set collection covering the legendary singer/songwriter’s principal studio albums, will be released by Universal Music Enterprises on December 10. Pre-orders now at www.amazon.com ensure holiday delivery. The collection consists of a total of 19 CDs originally released over a recording career that spans 35 years.